Keeping kids entertained after school and on the weekends can be challenging for many parents. To make it easier, we've rounded up four kid-friendly Fresno activities, from gymnastics classes to a mini scavenger hunt, that are being offered for a discount, thanks to deals site Groupon. Get the little ones excited with a mini team scavenger hunt with Puzzling Adventures, which "provides an unconventional way to explore some of the most beautiful cities around the world." Part scavenger hunt and part walking tour, it's appropriate for all ages and offers "plenty of time to eat, drink and sightsee in between stops." An individual ticket for this event was originally $29.99, but it's currently being offered for $12. 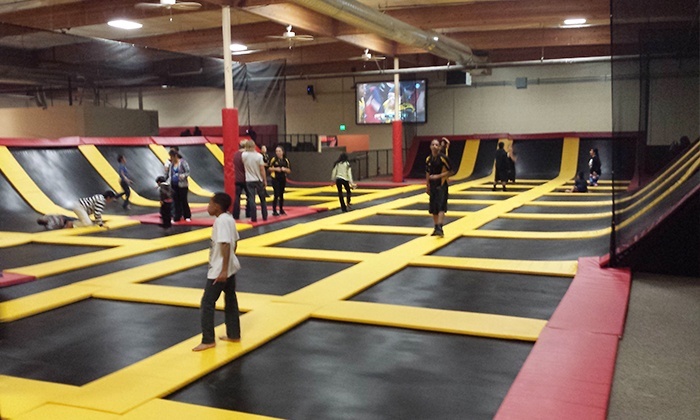 At Aerozone Trampoline, your kids can jump around and have a blast on dozens of trampolines, and play games like trampoline basketball and dodgeball. There's also a foam pit, rock climbing and more. Two people can enjoy two hours of playtime from Monday-Friday for $18.50 (a discount from the usual $36 price of admission). For four or six people, two hours of playtime during the week will cost $37.50 and $56, respectively. 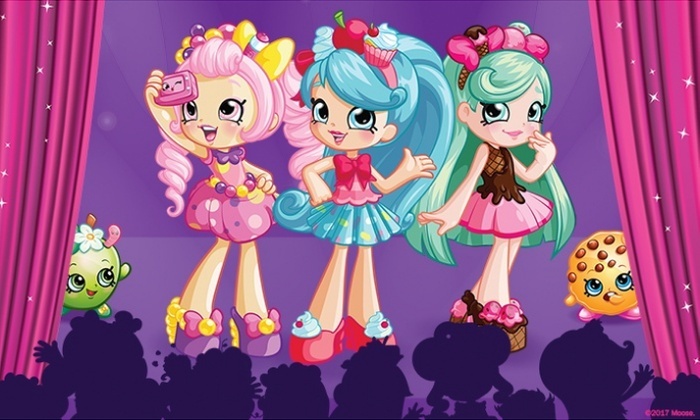 Put the electronics away and take the whole family to Warnors Theatre on February 5th to watch Shopkins Live!, "a brand-new stage show based on the tiny collectible toys shaped like yummy treats and fun fashions." Jessicake, Peppa-Mint and other Shopville favorites will "don their most colorful duds as they dance and sing pop hits." A balcony-level ticket for the 6:30pm performance on February 5th, originally $32.50, is on sale for $16. Front balcony and orchestra-level seats are being offered for $20 and $24, respectively. For the young adrenaline junkies in the family, an afternoon at Kinetic Sports Academy will provide plenty of stimulation. 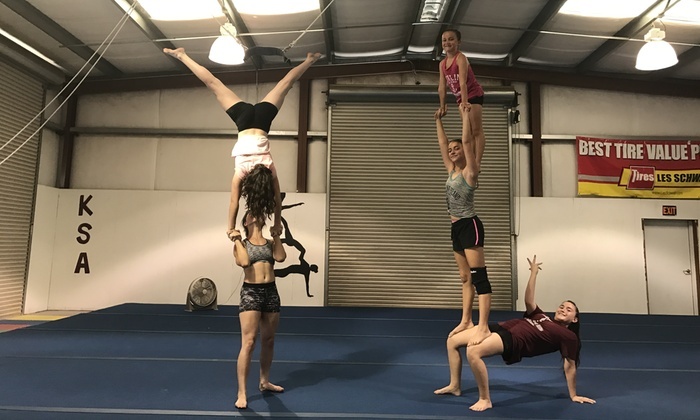 According to the business, "KSA has a strong focus on acrobatic gymnastics, a sport that combines gymnastic skills, partnerships and dance. Our certified coaches push our athletes to progress and reach their full potential." KSA is currently offering four weeks of gymnastics classes, normally $50, for just $25.